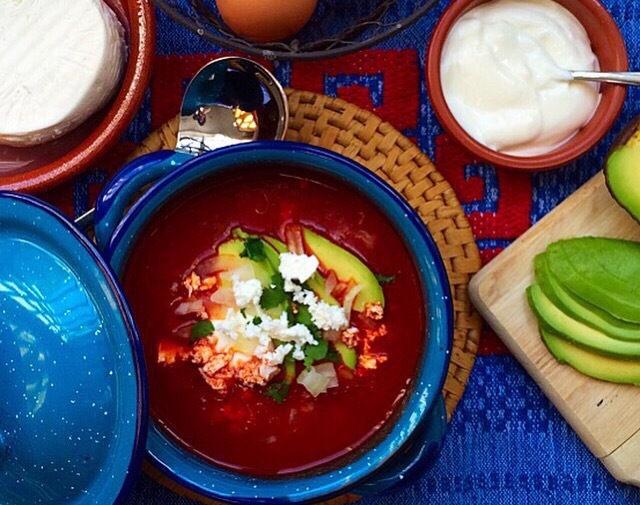 In Mexico we have lots of nice and delicious egg ideas, perfect for those lazy weekend or days when you have plenty of time to cook a nice and cosy breeky! Today I decided to cook my dad’s favourite breakfast because I am celebrating that my Instagram account had reached 2000 followers, so that means a lot to me. There are two thousand people follow me in this Mexican food adventure, so that for me is so cool and the best way to celebrate is by cooking on of father’s favourite dishes. My dad used to order this breakfast every time we used to go to “Leonardos” a restaurant in San Antonio de las Minas. There the do this dish that they have called “Querendon” (love one) and it has two eggs, refried beans and this special stew dish made with meat “Bistec Ranchero”, so you can imagine how filling and comforting this dish is. For my Bistec Ranchero I always buy the best cut I can find in my local butcher, I ask them to slice it very thinly and cut it is strips, in this occasion I bought Sirloin steak. 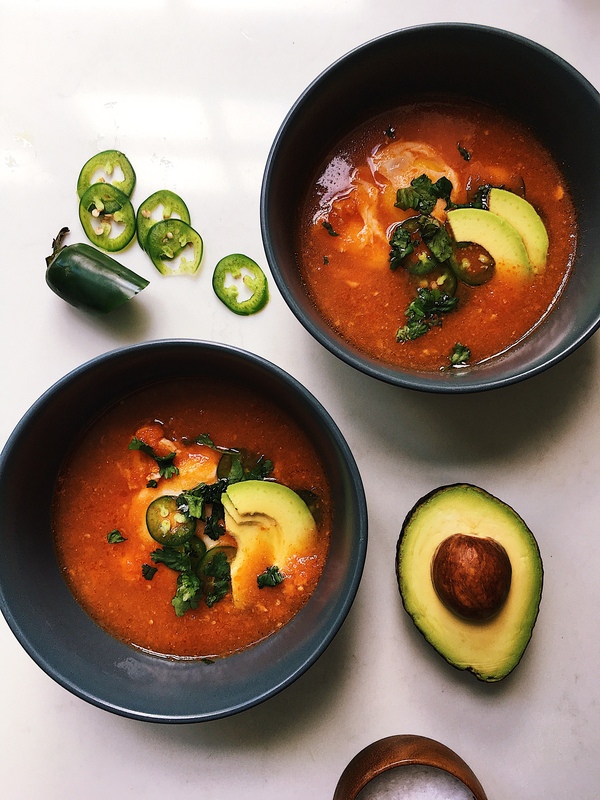 So if you ever have people staying at home and you want to impress them with a nice Mexican breakfast this is the right recipe. Heat a casserole dish to medium heat, once is hot add the oil then add the meat and cook for 5 min, stirring continuously, add the salt and pepper and then all the vegetables including the whole jalapeño and garlic, cook for 15 min, stirring the ingredients from time to time and making sure that the meat doesn’t get dry, if it does, add a little bit of water. While the meat is cooking, prepare the eggs, here you can cook them the way you like them, I like mine fried. 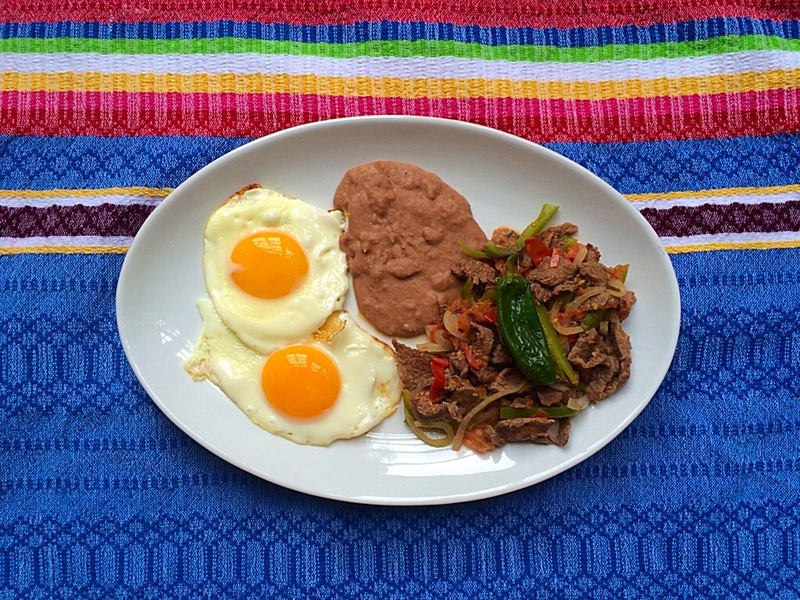 Have the refried beans ready and once the Bistec ranchero is cooked, serve it with the eggs and refried beans. Don’t forget to heat some corn tortillas and a nice cup of coffee! Mexico is a country full of amazing food, we are very creative, specially when it comes to name dishes, for example this one, huevos al albañil (bricklayer eggs). 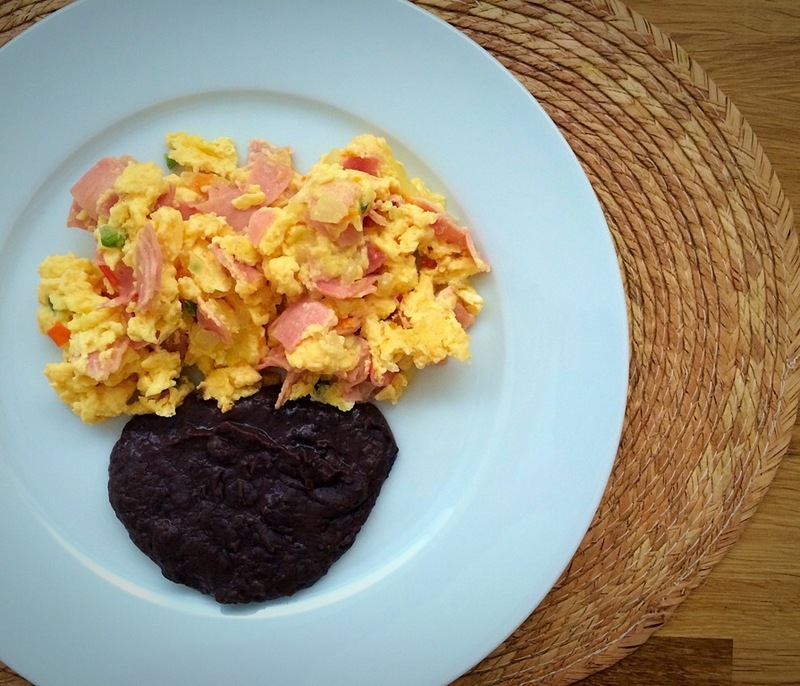 My dad used to cook this breakfast dish for us sometimes, but I never knew what the name was until two years ago that a Mexican friend of mine came to my house and cook this for us, I have heard of them, but I had no idea that they look like my dad’s breakfasts dish. 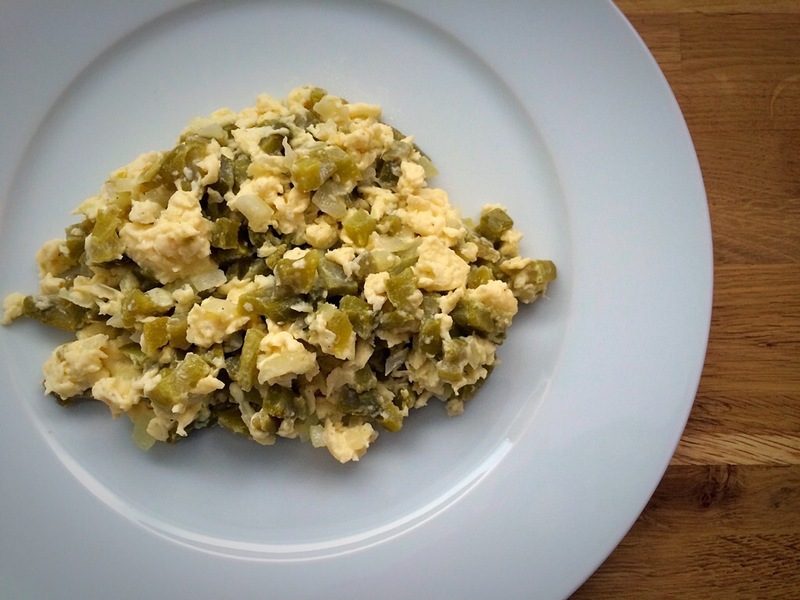 There are different version of it, apparently the original huevos al Albañil go with green salsa and a fried tortilla, but some people cook them like my dad used to, with red salsa, so that is the way I make them. But you might be asking yourself, why bricklayer eggs?, well in Mexico every May 3rd we celebrate the Cross Day and Builder’s Day and during that day builders around Mexico celebrate by organising a party at the building site they are working at, usual this parties only involve eating, drinking and listening to music. They cook the food at the building site, so I guess that this dish was born in one of those parties, it is very easy to cook and delicious to eat. Well done to all the builders in Mexico, who are, most of the time, very hard working and humble people! Put a frying pan to heat and put the tomatoes, onion and garlic to toast for around 15 min turning them from time to time to avoid burning them too much from one side, on the last minute add the arbol chili, and toast it for 30 sec. Then put everything in a blender and blend. Put a sauce pan to heat with a bit of oil and transfer the sauce into it, continue cooking. In the meantime on a frying pan, add the oil and start cooking the eggs, stir them but not too much, they have to be between a scrambled and an omelette eggs, when they are cook add them to the sauce and cook for 2 min and turn the heat off. Traditionally they are accompanied by refried beans and tortillas. 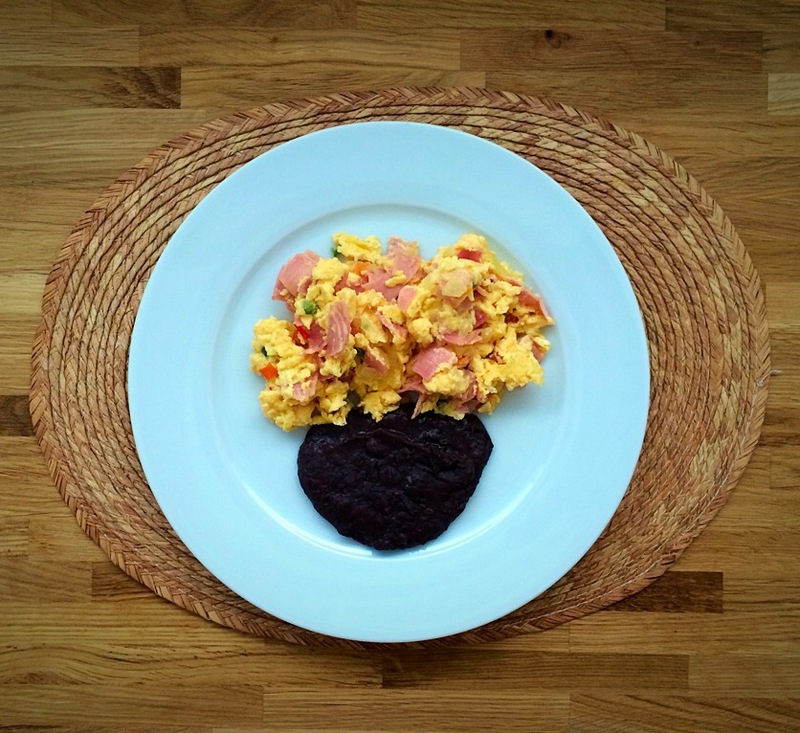 Huevos con Jamón is one of my family’s flavourite breakfast dish. I am not sure where they were invented, or who created in them, but whoever did it, WELL DONE! My mum always makes them this way, so this is her recipe. Give it a try and enjoy! Put the rapeseed oil on a frying pan on medium heat and add the ham and vegetables and cook them for 5 min. The onion has to be transparent and the tomatoe has to have a sauce consistency, add the eggs, and cook, folding the eggs over in large curds occasionally, until cooked through, for about 3 to 5 minutes. You can have them with some refried black beans and warm corn tortillas for the complete Mexican breakfast experience!